Equity in education is more important than ever. Although the divide between the haves and the have-nots in this country has been widening for years, the 2016 presidential race and, in particular, the surprising victory by Donald Trump underscored the growing discontent caused by unequal access to the American Dream. The outcry we heard on both sides of the political spectrum should make clear the extraordinary burden and risk created by income inequality, which is now at its highest level since the Great Depression. While the new economy has brought opportunity to many Americans, it’s undoubtedly left others behind. Historically, education has been the primary vehicle that drives upward mobility. At a time when high-level skills are in demand, the stakes have never been greater for individual and societal success in a competitive global economy. Related: How will the presidential election results influence education technology in schools? That’s why it’s critical that we strive for an education system that supports all students, regardless of where they live, or where they come from. The reality is that our schools, and the teachers and children in them, face crippling disparities in opportunity. We still have not realized the guarantee to an equal education promised more than 50 years ago by the Elementary and Secondary Education Act. The lack of attention to education during the run-up to the presidential election left many to wonder just how much of a priority quality educational opportunity is for most Americans. We didn’t hear much in the way of education policy from either Donald Trump or Hillary Clinton along the campaign trail. At this point, it’s unclear what, if any, specific policy agenda a Trump administration may have for education. Once the inauguration is over, it is foreseeable that education could become lost in the partisan politics of immigration, international trade and healthcare. And yet, education is the lynchpin to our shared American dream. And if we fail to act, if we lose focus on the inextricable link between education and access to a good life, our shared American Dream will indeed devolve into our shared — and it will be shared —American nightmare. However, by taking it upon ourselves to create a more inclusive and equitable education experience for students regardless of where they start in life, we can help reduce poverty over the long term by helping poor children become more productive during adulthood and creating economic growth in the process. We still have not realized the guarantee to an equal education promised more than 50 years ago by the Elementary and Secondary Education Act. If the goal of the Trump administration is to expand economic opportunity for everyone, it should start by encouraging a more equitable education system. What does educational equity look like? I believe there are six components. First, educational equity is diverse. 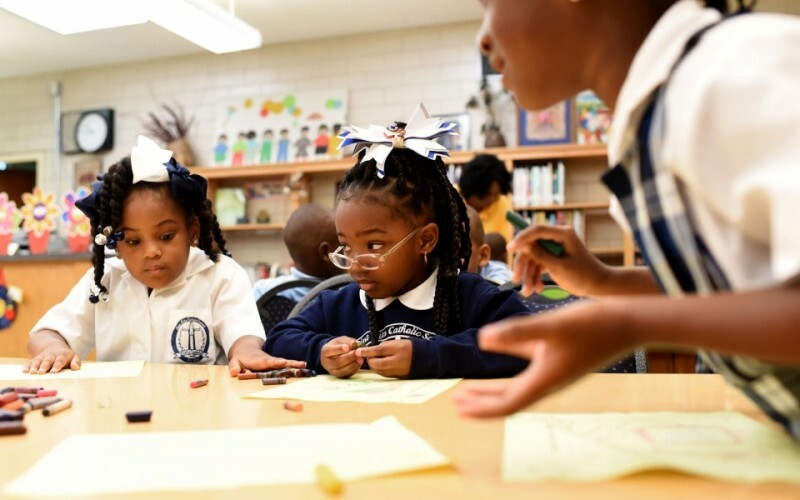 We can’t achieve equity in education without diversity — broadly defined in terms of socioeconomics and race, as well as by cultural and gender identity. We should see an inclusive snapshot of our changing America in every classroom. Anyone who studied the electoral maps on election night might think this is out of reach. But it is possible and it should be a priority. Second, it’s governed by high expectations and high standards, grounded in the belief that all children can (and do) learn regardless of who they are or where they live. The focus should be on what they are learning and how well they learn it. Further, it requires high expectations and high standards from teachers, administrators, students, parents and anyone else who touches the learning community. All students, including those who are historically our least well-served, should acquire relevant and meaningful knowledge, skills and the ability to think and learn so that they can be successful in college and beyond. Third, it aligns school achievement with student and teacher success. The Trump administration should take steps to prioritize real-time assessment of our learners, continuous on-the-job professional development for our teachers and post-graduation performance over teacher tenure and high-stakes testing. Fourth, it’s connected with broadband and devices. We should continue to pursue ways to provide students access to advanced education technology that delivers effective, personalized and engaging learning experiences for students. In order to enhance learning outcomes, the next administration needs to ensure that innovations in learning do not exclude less advantaged communities. Fifth, it provides adequate and sustained funding and financial support. To cultivate a high-performance learning community academically, nutritionally, emotionally and physically, the Trump administration should ensure that financial support is available where, when and how it is needed. Starving the public education system will only further exacerbate the opportunity gap that currently exists. Finally, educational equity cultivates graduates who possess relevant skills. There are clearly large swaths of American workers who are struggling significantly to adjust to the new global economy. Our goal for education should be for individuals to have relevant and globally competitive capabilities that will help them not just to survive but to thrive in the global marketplace. We want graduates who can confidently secure gainful employment, create and lead new innovative organizations, and pursue post-graduate degrees. If there’s one thing most people can agree on following this historic 2016 election, it’s that we are a nation that is increasingly divided. Inequality, and the anxiety and discontent that it engenders, can no longer be ignored. We all want the best for future generations. To achieve that, we must take steps now to ensure equal educational opportunity that can help all children rise to their full abilities, no matter where they come from, where they learn or where they live. Only with their success should we be able to sleep soundly, and keep the American Dream alive. 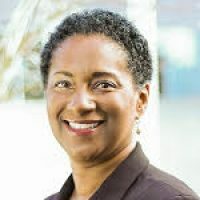 Jessie Woolley-Wilson is the president and CEO of DreamBox Learning, an online software provider that focuses on K-8 math education.